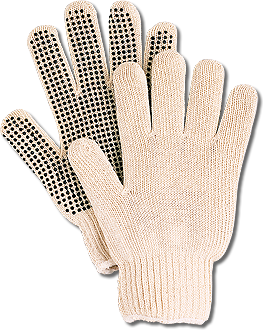 Machine string knit cotton glove. 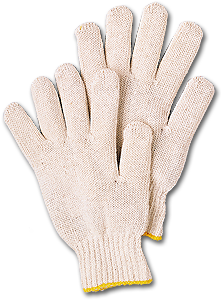 The economy glove for handling parts & light to medium duty assembly work. No seams to wear out. Same as WK-200, ladies size. String knit with criss-cross PVC stripes. 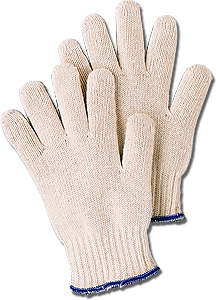 String knit glove, heavy gauge & tight knit. 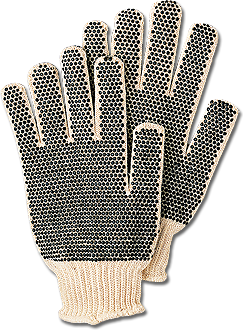 Same as WK-200 with plastic dots for safe, sure grip. Same as KD-200, Ladies size. 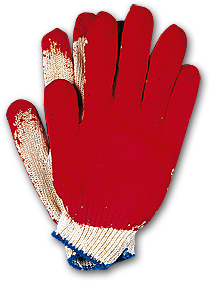 String knit glove, dotted on both sides. Same as WK-200 with vinyl coated palm. Men's size. 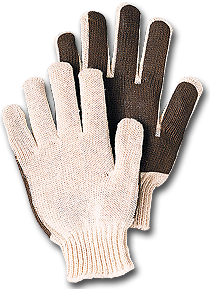 String knit same as WK-200 with economy vinyl coating. 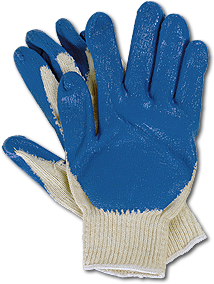 String knit glove with blue latex coating. 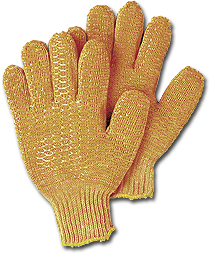 Double dipped for greater durability.